6. In the same manner, Customers can text Cellphone No. 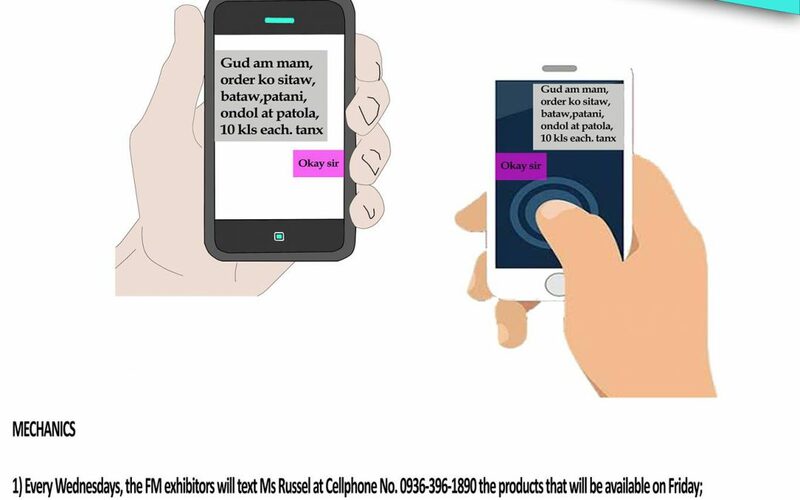 09363961890 for queries, comments and suggestions related to the Farmers Market Operation.